Dr. Bruce R. Maddern graduated from the University of Vermont in 1976 with a Bachelor’s degree in Zoology. He has two years of Master’s level work in Developmental Biology and Biochemistry, followed by medical education at Tulane University. He received his M.D. degree in 1982. Dr. Maddern completed graduate medical education and residency in Otolaryngology – Head and Neck Surgery and Pediatrics at Tulane University in 1987. He completed a combined research and clinical two-year fellowship program in pediatric otolaryngology under the sponsorship of the University of Pittsburgh, Children’s Hospital and The National Institute of Health in 1989. He is board certified in Otolaryngology/Head and Neck Surgery and is a Fellow of the American College of Surgeons and the American Academy of Pediatrics. He is a current member and former member of the board of directors at the American Society of Pediatric Otolaryngology. Dr. Maddern was the founder and chief of the division of pediatric otolaryngology at Nemours Children’s Clinic, Jacksonville, Florida from 1989-2000. He is now in private practice specializing in pediatric otolaryngology at Wolfson Children’s Hospital and Center One Medical Center in Jacksonville, Florida. He has served as chief of otolaryngology and chief of Children’s Surgical Services (anesthesia and surgery) and member of the Medical Board at Wolfson Children’s Hospital. He has held several leadership positions in a number of national peer recognized organizations. He is the president (2017-2018) of the American Society of Pediatric Otolaryngology (ASPO). He has served on the Board of Directors, as Treasurer and has been a part of several other committees. ASPO is the leading national and international professional organization representing children’s ear, nose, and throat disorders. He has served as president of the Florida Society of Otolaryngology, president of the Society of Ear, Nose, and Throat Advances in Children (SENTAC) and as past president of the American Lung Association of NE Florida. He served as chairman of the executive committee of the American Academy of Pediatrics, section on Otolaryngology. He has held several academic appointments at Mercer University, Mayo Clinic, and the University of Florida. He is currently a Courtesy Assistant Professor of Pediatrics at the University of Florida and faculty for the Cleft Lip/Palate and Craniofacial Program of the University of Florida-Jacksonville. Dr. Maddern was the developer and medical director for the regional children’s cochlear implant team and helped develop and implement the Newborn Hearing Screening Program for Florida. He also served on the State of Florida Task Force on Newborn Hearing Screening Program. He is a reviewer/surveyor for the Children’s Surgical Verification program of the American College of Surgeons. Academic interests and publications have included several book chapters and professional peer reviewed articles in the areas of pediatric infectious disease, obstructive sleep apnea, laser surgery and biophysics, airway surgery, and head and neck reconstructive surgery. 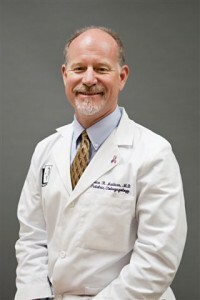 He has served and continues to serve on several local, state, and national committees concerned with children’s health issues in an effort to help children with hearing loss, communication disorders, cleft lip/palate and and other diseases of the head and neck through education, research, and patient care. He is a longtime member of the Rotary Club of South Jacksonville, involved in multiple community service projects. He has participated in several longstanding medical and surgical mission projects, performing cleft lip/palate , craniofacial and head/neck cancer care, to the Philippines, Brazil and Grenada. He is a longstanding member of the CHORES service group through Wolfson Children’s Group. He has been nationally recognized for teaching and service. He has been awarded a certificate of honor for service and teaching by the American Academy of Otolaryngology Head and Neck Surgery and American Academy of Pediatrics. He has been recognized repeatedly by his peers as one of the “Best Doctors in Jacksonville” and “Best Doctors in America”: in 2005-2017, along with U.S. News & World Report and Castle-Connolly Services. He received the Steve Grey Award for Humanitarian Service in 2012, given by the Society of Ear Nose and Throat Disorders in Children for his work in international cleft lip and palate service missions. He has been married to his lovely wife, Barbara, for 35+ years and has 3 grown children. His outside interests include fishing, gourmet cooking, and skiing. He is a charter Jaguars season ticket holder.